Welcome to United Smiles – your Friendly, Professional and Reliable dental practice in Whittlesea. Our passionate and skilled dental team provides personalised and world-class dental care service to each and every patient. We treat our patients like family and help them achieve the best possible oral and dental health wellness. At United Smiles, we provide specialty dental care service such as endodontics, orthodontics and various general, restorative and cosmetic dental procedures among many other services. Our dental professionals have the expertise and experience to put you at ease and keep you comfortable before, during and after the treatment, while delivering outstanding results guaranteed to leave you and your loved ones smiling. Your Whittlesea dentist knows every person has unique dental needs. 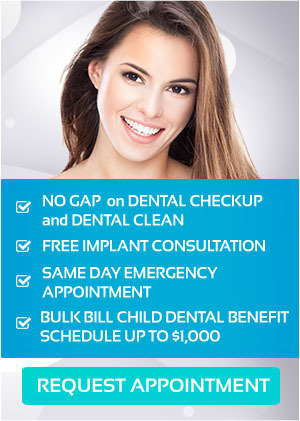 That is why we offer a comprehensive range of dental treatment options in our comfortable and welcoming environment. Through our advanced technology and notable proficiency in modern dentistry, we help you achieve and maintain good oral health, improve appearance, restore functionality as well as alleviate misalignment issues and problems related to teeth grinding. Technologies in dentistry are always progressing and developing. Adding new modernised tools and techniques that improve diagnosis make treatments and procedures more conservative and comfortable. Most of all, it makes dental care safer, stronger and more dependable than before. Your dental team at United Smiles in Whittlesea is pleased to employ the latest in dental technology and incorporate this into our treatments so our patients can benefit from the most breakthrough care available. Our cutting-edge dental technology helps us provide our patients with efficient and successful dental care. Here are some of the technologies we use in our practice. Book your Dental Consultation in Whittlesea Today! Conveniently located at the heart of Mernda Village, United Smiles sees patients of all ages and designed and maintained healthy smiles in Whittlesea, Beveridge, Mernda and Doreen, and surrounding areas since 2013. Our dental office includes an ample parking available at the rear of the building. Wheel chair access is also available from the front of the building and all of our surgeries have been built to accommodate this. We invite you and your family to contact us today to learn how we can help you make the best decision for your overall oral health. Our entire dental team is looking forward to improving your smile and the quality of your life!